Earaches and ear infections are typically caused by a viral, bacterial or fungal infection that can affect one of the three different parts of the ear. Infections can occur in the outer ear, the middle-ear and into the inner-ear. Many ear infections go away without treatment and will resolve themselves fairly quickly. When needed however, ear-drops or antibiotics may be prescribed, depending on the severity of the infection. Over-the-counter (OTC) pain relievers may help, as well as applying a warm washcloth or heating pad on the ear. An ear infection also can be caused by scratching the ear canal when cleaning the ear. Never use a foreign object to clean your ear, and even your finger nails can transmit bacteria and cause an ear infection. Swimmer's ear is an infection of the ear canal that can be caused by a variety of bacteria or fungi in water. People that develop swimmer's ear have usually been swimming for an extended period of time in chlorinated or polluted waters. Swimmer's ear usually begins gradually within a day or so of being immersed in water and progresses from there. 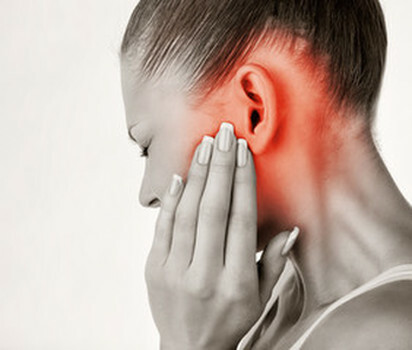 Treatment of Swimmer's Ear - Medical treatment of swimmer's ear depends on the extent of infection and severity of pain. A mild infection may be treated with ear-drops, antibiotics or corticosteroids. Swimmer's ear usually resolves within seven to 10 days, with treatment. Middle ear infections are typically found in young children and symptoms usually include ear pain and fever, which can sometimes be high. Middle ear infections occur when germs from the nose and throat are trapped in the middle ear, usually during a cold. A physician's evaluation is required to make the diagnosis and to begin appropriate treatment. Infections of the inner ear are typically caused by viral illnesses, such as the flu, and can cause dizziness, nausea, imbalance, difficulty concentrating, tinnitus (ringing in the ears), reduced hearing and other symptoms. A physician's evaluation is required to make the diagnosis and to begin appropriate treatment. Treatment of Inner Ear Infections - If the infection was caused by a virus, it will usually resolve on its own. However, a doctor may recommend taking prescription or OTC anti-nausea medications, or an injection to control the symptoms.